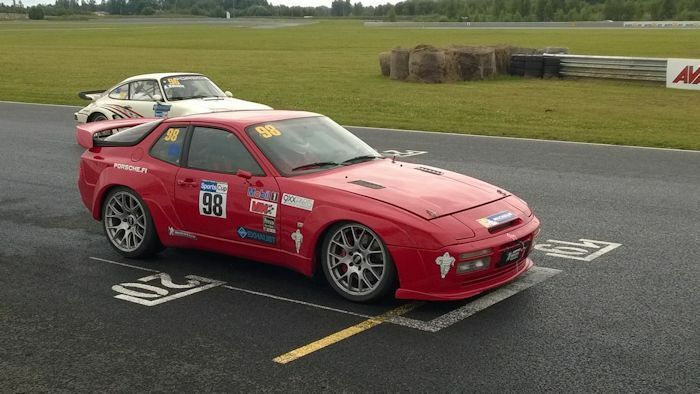 At first the car was prepared as club sport car, later Lithuanian Porsche club PORKER discovered that this car is very competitive in professional racing in Lithuania as well. So we created Porsche club racing team with few enthusiastic people, collected the budget and on 2005 we took part in first professional racing event in Lithuania called Horn Grand Prix 1003 km. It is endurance racing for 1003 km or maximum 10 hours non stop race. It is the biggest racing event in Baltic States. Last year we participated in this event, won the third training and took 7th place in qualification results. but later we had big problems with air/fuel ratio, 2 times our Porsche blow the engine gasket and our racing was finished. For 2006 year Horn Grand Prix 1000km racing we prepared more carefully, and we hope we solved the air/fuel ratio problem with engine management system, because original computer - not good enough with original car computer, also we improve transmission with 944 S2 gearbox with QUAIFE differential – adapted to special race track, better turbocharger from Lindsey Racing, also better oil cooling system and new brake kit. First conversion was bodywork: fully changed front of the car, dispersed front and rear fenders, lowered roof, removed rear side window. Rear hood Strosek design, also rear part of the car is changed and there is diffuser made to improve aerodynamics of the car. Front: Bilstein adjustable motorsport coils, with H&R springs. Rear: Koni adjustable sport shocks (it looks not strong enough for our car). BBS 18’ motorsport wheels, with Yokohama slick tires. Sabelt motorsport seat and sparco belts. 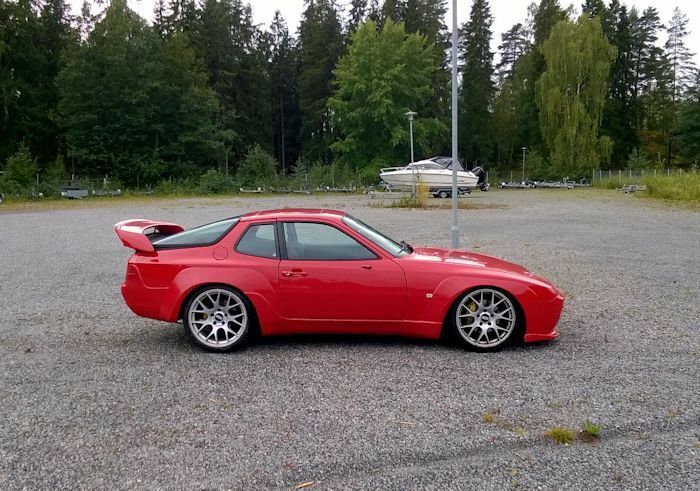 We will use for 2006 racing Porsche 944 S2 gearbox, because shifts are shorter- and better for that special race track, and QUAIFE differential from Lindsey racing motorSport clutch for 951 turbo. Front brake Big Red brake kit with 993 turbo rotors from Lindsey racing, EBC brake fluid, 944 turbo braided steel brake lines. Brake cooling plates and front brake cooling hose from Lindsey racing. Cut-off valve from FVD Germany. Turbocharger super 61 from Lindsey Racing. 951 dual port wastegate from Lindsey Racing. KISS oil cooler kit 944 turbo from Lindsey Racing. Engine management system kit from Kronenburg Management Systems.